The internet is becoming more and more important for the successful exchange of information. Within a few seconds, a multitude of information can be retrieved by a user. This makes it all the more important to include the internet and search engines such as Google in marketing - including HR marketing. In the following article, you will find four good reasons why SEO is a must for your job advertisements. Optimizing job advertisements for search engines is worthwhile just based off the sheer number of people using them. The term "job search" is entered in Google approx. 1.5 million times in the US. This illustrates how most people conduct their job search nowadays - over the internet. A big advantage of search engines is that they are free. Corresponding contents are listed free of charge in the results. This makes it all the more interesting to integrate search engine optimization into recruitment strategies and thus increase the effectiveness of recruiting and employer branding. In view of the fact that skilled workers are becoming scarce, the ability to find a company as a potential employer is becoming increasingly important. After all, you gain an advantage if potential applicants find you faster and better than your competitors. A job advertisement is no longer only used to advertise a job offer, but also plays an important role with regard to employer branding. This makes it clear how important search engines are, especially with regard to job advertisements. The difficulty is to achieve a high ranking in search engines like Google. This means that your own job advertisement should appear on the first few pages, entering the appropriate keywords for potential applicants. Various studies have shown that most users take note of a maximum of the first 20 to 30 hits in Google. Accordingly, job advertisements that achieve a lower ranking have little chance of being found by searchers. 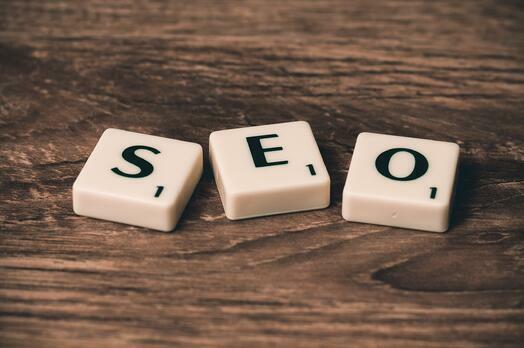 Check out our page "The Ultimate Guide to SEO" to find further resources on the topic of SEO.